Whether performing a test using a treadmill, ergometer, or pharmacological stress testing, the Tango M2 reliably monitors blood pressure allowing you to focus on your patient. The Tango M2 was specifically designed to overcome noise, motion and physical difficulties associated with cardiac stress and exercise testing. You can even pair it with a hands-free interface and add the SpO2 measurement option to make the Tango M2 a seamless cardiac testing center. During stress testing, reliability and accuracy go hand-in-hand. Recording an accurate and reliable BP measurement at the correct intervals during a test can be difficult and stressful for clinicians and lab technicians. That’s why the Tango M2 can be programmed to take an accurate reading at the proper time and initiate readings at the precise moment during each stage, increasing reliability of the measurements. Designed to be used with our Orbit-K Cuff , the Tango M2 utilizes our proprietary DKA algorithm, which provides exceptional performance in the difficult environment of the stress lab. Need more information or pricing? Request a quote here and learn how we can be the difference in clinical-grade for you! Looking for Interface Notes? Click here. 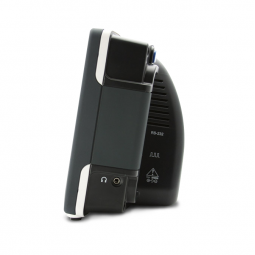 Language translation of the Tango M2 user guides and instruction manuals. Quick Start Guide for the Tango M2 by SunTech Medical. English translation of the Tango M2 Brochure. Chinese translation of the Tango M2 Brochure. Did not find the document you were looking for? View the full Tango M2 Document Library here. How can I adjust the brightness of the Tango M2 display? When the operating screen is displayed, press the SELECT button once. This will bring up the Main Menu screen. Using the UP or DOWN arrows, highlight Monitor Setup and press the SELECT button. Using the UP or DOWN arrows, highlight Brightness and press the SELECT button. Using the UP or DOWN arrows, modify the contrast of the screen. When you are finished, and press the SELECT button to confirm the choice. Using the UP or DOWN arrows, select EXIT twice to return to the operating screen. Click here to watch a useful video tutorial. How do I set up the Tango M2 monitor to work with my stress system? 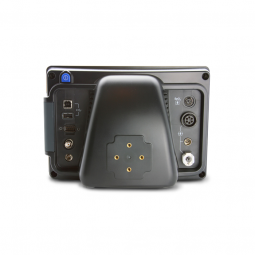 To setup your Tango M2 BP monitor with your stress system, please visit the Tango M2 Interface Notes on the Technical Library page under the Customer Technical Support section of this website. If your stress system is not listed, please contact us. The Tango M2 displays a Status Message. What does it mean and what do I do? See the eLibrary within your Tango M2 for quick troubleshooting tips. You can find the eLibrary under the Main Menu; select Monitor Setup >E-Library >Status Messages. Look in the Tango M2 User Manual under the Status Messages & Alarms section for details on each Status Message and solution. You may also click here to watch a useful video tutorial. 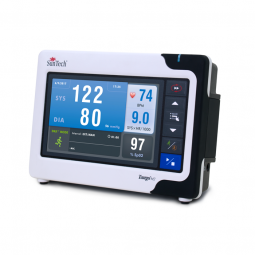 The Tango M2 monitor returns a result of 0/0 after blood pressure (BP) measurements. What do I need to do to get a BP reading? There are certain noisy conditions where the Tango M2 cannot accurately measure BP. When the Tango M2 encounters these situations, it returns a reading of 0/0. Microphone placement is critical for reliable operation of the Tango M2; there are many places to find cuff placement help. See the eLibrary within your Tango M2 for quick cuff placement tutorials. You can find the eLibrary under the Main Menu; select Monitor Setup >E-Library > Tutorials. Look in the Tango M2 User Manual under the Using Tango M2 during a Stress Test section for details on each type of cuff; the Orbit-K and the Single Patient Use (SPU) kit. Follow the instructions in the Cuff Tutorial (located on the SunTech Medical website under Support > Product Training & Tutorials) for correct microphone placement. Can I use a heart rate or blood pressure simulator to test whether the Tango M2 is working correctly with my stress system? You cannot use a heart rate or blood pressure simulator to test whether the Tango M2 is working with your stress system. The Tango M2 monitor requires that the ECG signal and the Korotkoff sounds, collected by the microphone in the cuff, originate from the same source, meaning the patient. How do I clean the Orbit-K cuff after a stress test? Use a medical grade mild disinfectant wipe on the cuff or spray a cleaning solution onto a cloth and wipe the cuff. Afterwards, lay flat or line dry. Remove the bladder and microphone from the outer shell of the Orbit-K cuff. Machine wash the shell in warm water with a mild detergent (50-140°F or 10-60°C). Lay flat or line dry the cuff. Do not place the cuff in a dryer. My Tango M2 displays a message, “Please VERIFY CALIBRATION” or “Equipment Maintenance and Calibration Required.” What do I do? Verification of Pressure Calibration is required every year to maintain the accuracy of the Tango M2’s BP readings. You will need to contact the SunTech Medical Service Center for help. In addition, the following items will be needed to verify calibration. Calibrated electronic manometer or equivalent. 500mL volume or the Orbit-K Adult Plus cuff wrapped around something that will not break or crush (no glass). Hand Inflation Bulb with bleed valve. Tubing, Tee pieces, and miscellaneous connectors or you can order the T-Tube Kit (SunTech Part # 98-0030-00). This video shows the process of unpacking a new Tango M2. This video shows how to assemble the Tango M2. This video reviews the functions of the buttons found on the front of the Tango M2. This video shows how to program the Tango M2 to work with your your Stress System. This video reviews the process of testing the connection and communication between the Tango M2 and the Stress System. This video reviews the various screens of the Tango M2 including menu settings and measurement modes. This video reviews some of the status and error messages you may see while using the Tango M2. This video also includes some troubleshooting tips & solutions to help get successful readings. This video will review patient compliance techniques to help ensure patient safety and clinical accuracy while using the Tango M2 in a Stress Lab. This video is for Biomed representatives only. Submit the form below to receive the latest version of the Tango M2 User Interface. Enjoy this interactive guide which describes the various buttons and ports on the Tango M2.